It’s been two weeks since the last notes of Los Lobos filled the air up at The Old Poole Farm in Schwenksville, and I’m still thinking about it. 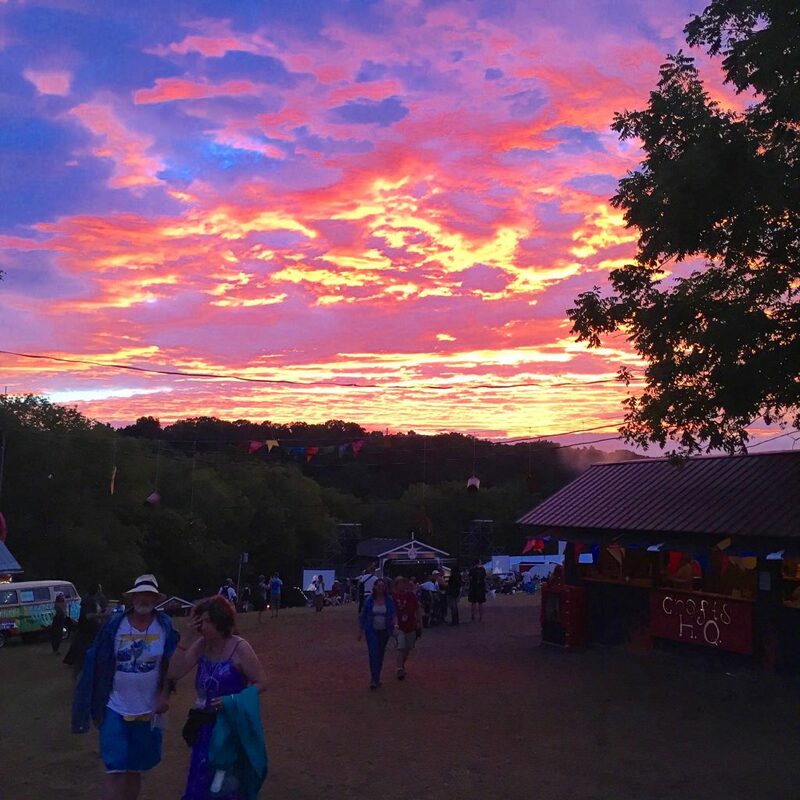 The 55th anniversary of the Philadelphia Folk Fest, the longest continuously running folk fest in North America, has come and gone; but to the Fest faithful, it’s memories live on for years….Or until the next Fest hits in mid August 2017. This year brought some amazing musicians and collaborations together for a spectacular 3 days of audible pleasure. From Del and Dawg to The Sheepdogs to Anderson East and the Lone Bellow covering Mariah Carey’s ‘Baby’, it was a great time had by all involved. So for this weeks’ Shady Groove Podcast, I’ve put together a great set of music from Folk Fest artists past and present…and probably future. Sit back, relax and enjoy. Terri, thank you for your kind words and compliments. Makes me blush. I havent done anything special! Anyway, do hope to catch up if we do go to your part of the world. But if every you are back in London…..
Because there’s actually movement to the Leslie, you have to be careful in how you place the mics and the directions that the mics face. Mics are much more sensitive at close distances, so by miking on the side, both mics are far enough away that they tonally sound the same. But because of the physical distance between the two, you ll need to add a few more db of gain to the mic furthest from the rotating speaker. Kiitos itsellesi ♥ Nyt on aarteita useammankin postauksen verran. TÃ¤ssÃ¤ vaan harmittelen, ettÃ¤ miten mulla ei ollut kameraa mukana ihanalla vinttireissulla. Niin upeita kuvia ois saanut…. AAAAARRRRGGGH! I wouldn’t get caught up the either way in good starts or bad starts.Remember the 2005-06 Piston’s 36-5 record at the halfway mark? They ended up 64-18 and lost in the Eastern Conference Finals to the Miami Heat.We’re lucky to be fans of a team whose success is not measured by wins and losses, but the quality of their execution. Other teams are killing themselves just to secure a win, while the Lakers are busy trying to shape themselves into champions … and still winning games in the process.